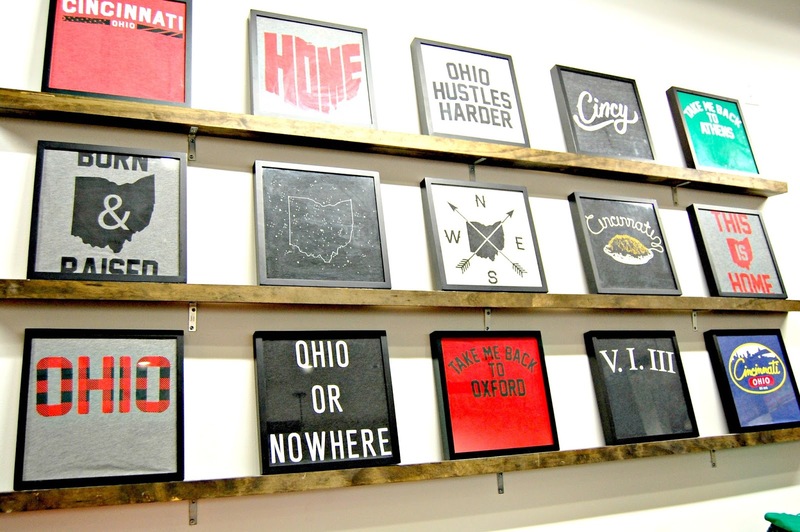 The Direction is both an online retailer & brick and mortar store that offers team & state pride apparel. They recently opened a local location in the Kenwood Towne Center (next to Nordstrom). 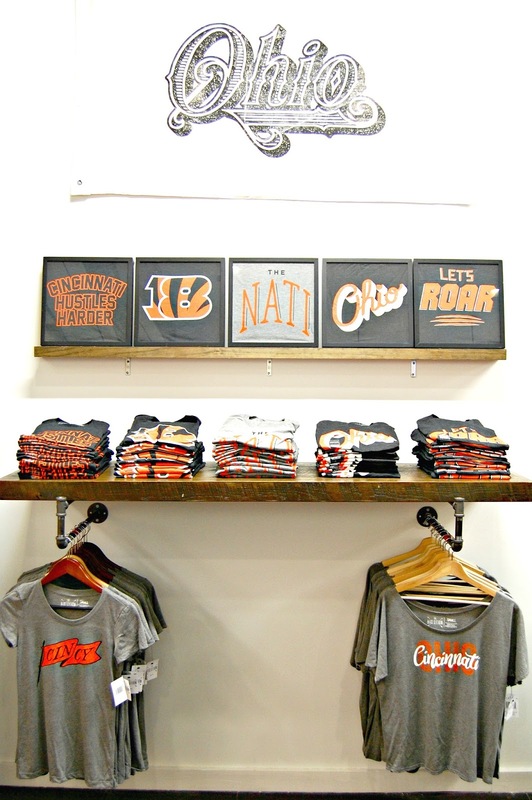 What I love about The Direction is that their items aren't restricted to just Cincinnati or Ohio teams. In the Kenwood Store, there was a swell of Ohio's finest, but also had a Big Blue corner, which obviously I was partial to. 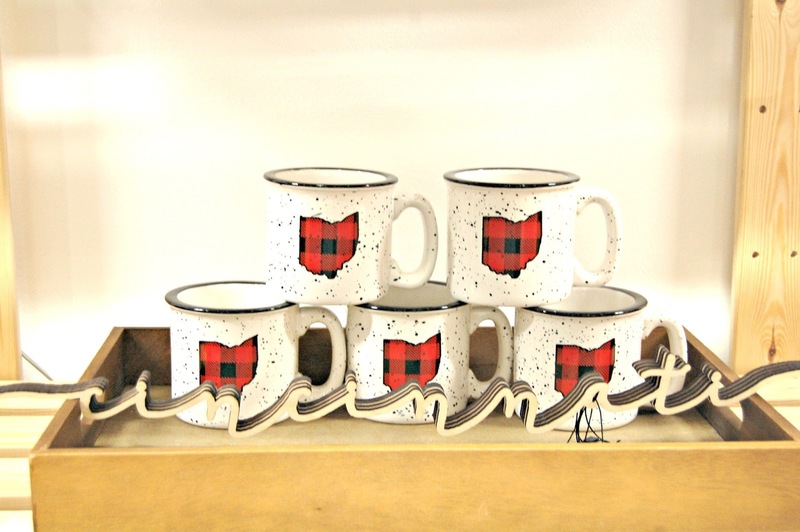 They also had various home goods such as these adorable mugs (perfect Christmas presents!) 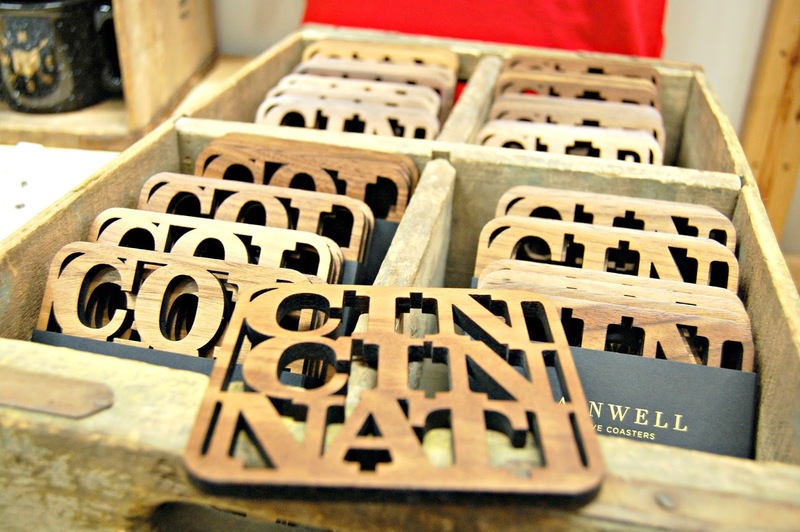 and handcrafted wood items that are made locally! 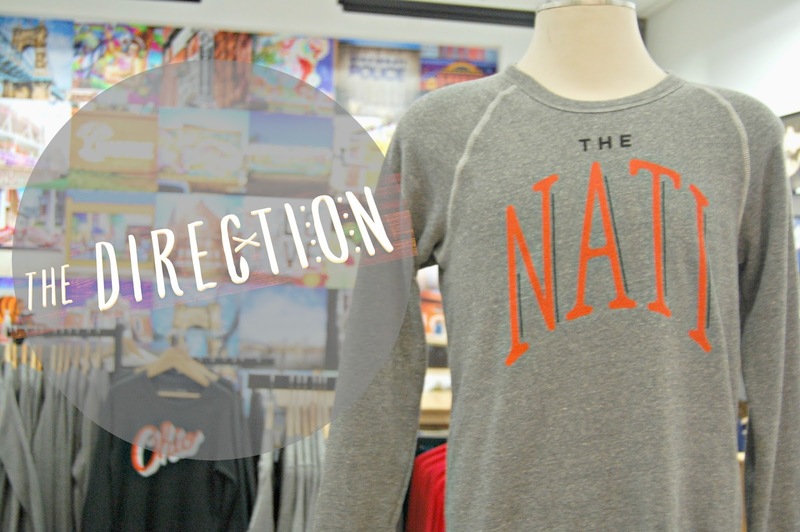 Their online store, shopthedirection.com, offers even more teams and states from all over the country! 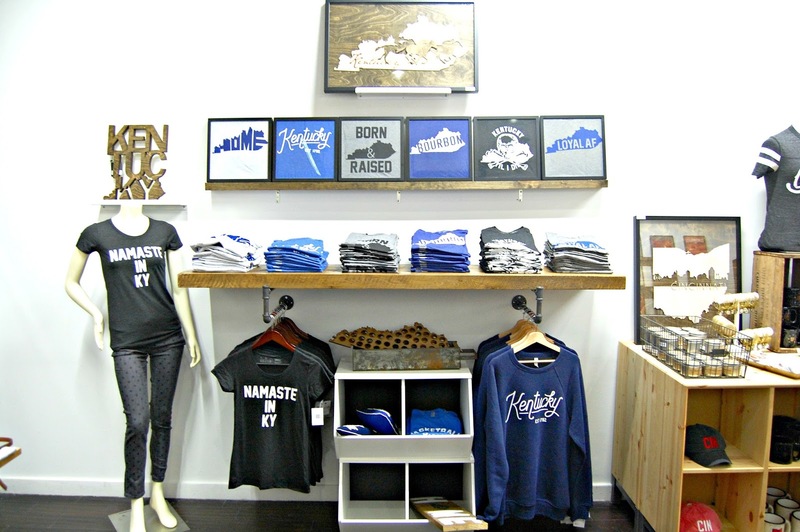 So there's something you're bound to love to show off your state or fav team! 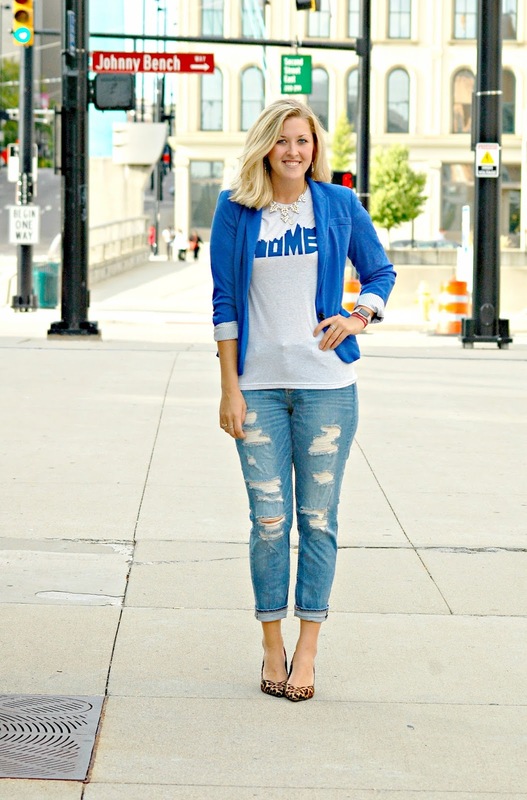 My favorite tee I picked out, was this Kentucky "home" t-shirt. 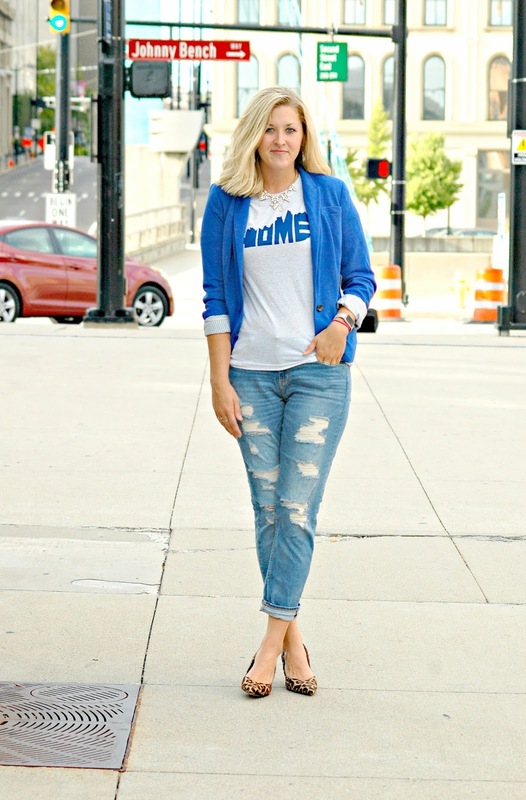 Love how it looks paired with my UK blue blazer!